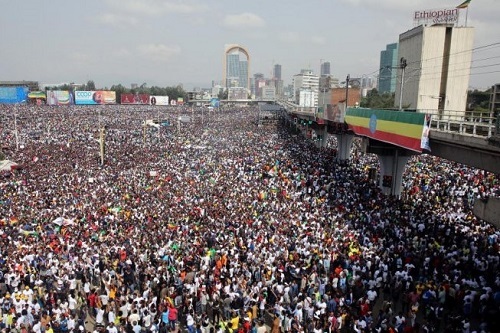 Ethiopia boasts a double digit economic growth, while citizens are complaining about inflation and a living condition that goes downhill. How could the country address this conundrum and tame inflation? What must the parameters be to measure economic growth? Are infrastructural development and direct foreign investment that are currently apparent in Ethiopia adequate? Associate professor Dr Joachim Persoon is a resident of Addis. He has been crisscrossing Ethiopia for research purposes and I approached him for his observations on the aforementioned issues. 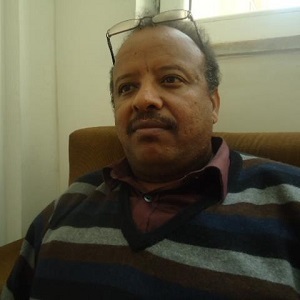 With the aforementioned questions The Ethiopian Herald approached economist Abdi Yuya Ahmed, PHD in Innovative Economics, Adama Science and Technology University. He added, it is not unlikely that growth would co-exist with difficult living conditions for citizens. He further said it does not include distribution of the income among different parts of society. The growth talked about has mainly been attributed to the role of public investment in infrastructure and increase in private investment to some extent. Regarding inflation he noted that theoretically inflation is a common phenomenon when economy is growing very fast. The issue is that of managing inflation at optimal level rather than absolute control. According to him, the main tools of reducing inflation are those based on monetary and fiscal policies. Regarding tools of monetary policy, the government may decrease money supply using tools like debt control and interest rates. Increasing interest rates on bonds and money borrowed from banks will make credit costlier thereby decreasing money supply. This would, in fact, reduce economic growth. The other way of reducing inflation is using tools of fiscal policy, he stressed. Increasing income tax or decreasing government spending will help reduce aggregate demand, which in turn will decrease growth and hence leads to less demand pull inflation, according to him. As he puts it, the other important tool, yet with long term effect, is using supply side policies. This includes privatization, improving ease of doing business, building infrastructure and reducing cost of trading and so on. These measures will help reduce the cost of production and hence increase the supply of consumption goods which would ultimately reduce inflation. Development is much broader than growth. Growth is only a single element of development. Development should include social and political dimensions in addition to the economic dimensions coupled with the distributional aspects. Given economic development is a broad concept which includes both economic and non-economic aspects, economic development should reflect economic, social and institutional mechanisms that are necessary for bringing large scale improvements in the levels of living of the people. Pertaining to this, some economists include the role of poverty reduction; provision of improved basic needs, goods and services; diminution of inequalities in income distribution in the definition of economic development which can be achieved by increasing the rate of production and employment. According to him, the illegal migration of many daring risks of crossing seas and deserts shows there is a problem. Dr Abiy Ahmed’s willingness to listen to the people and engage citizens in peaceful dialogues could slowly but surely solve the problem. it is really an interesting story which concern on the economy indicaters with in the context of Ethiopia economy developments . it implies that quantitative measurements is not only an indicater of the country development but also huamn development index should be taken into consideration. In other words, per capita income and improving the living standard of the people. the writer, Alem, put on the paper striking issues which are the questions raised by the mind sate of scholars.